← Annabelle’s “Sir” Bar – Another Forgotten Classic! 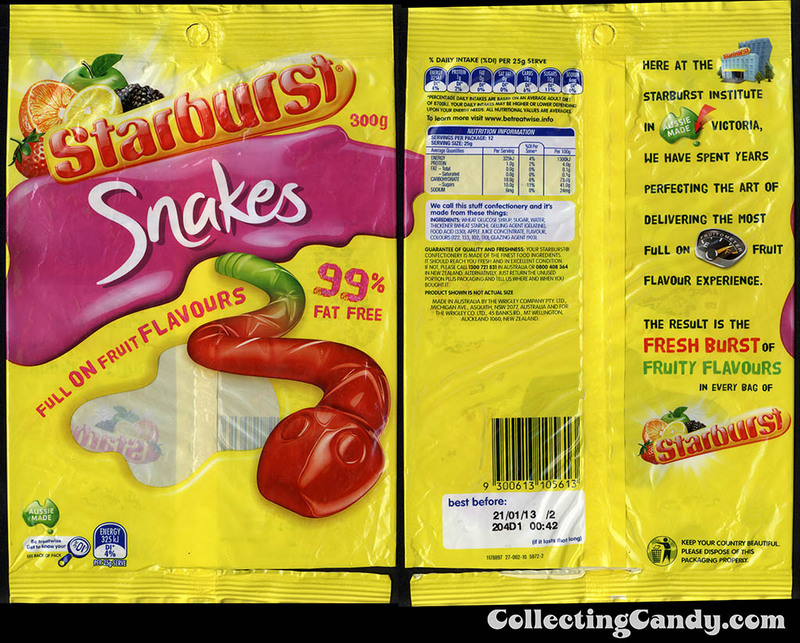 As a candy enthusiast, historian and collector, I love finding unusual product or flavor extensions of candy brands I already know well. 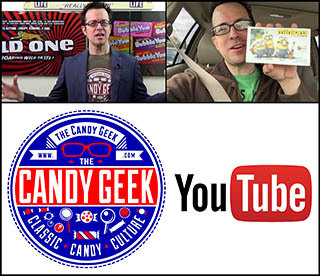 There’s just something especially compelling about that familiar logo matched up with unfamiliar elements that makes up a new brand extension – it’s fun! Sometimes those extensions can take the form of a particularly jarring oddity and other times they can make perfect sense. 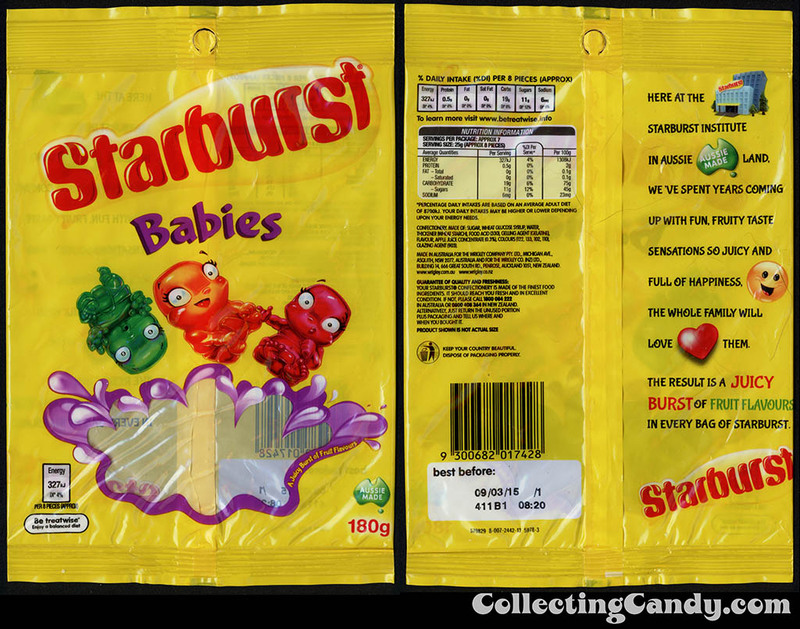 Today’s post covers a great example of the latter as it seems to be a natural evolution for the Starburst brand name to cover a family of fruit-flavored gummies. And that’s just what’s being done Down Under in the Australian (and New Zealand) markets. 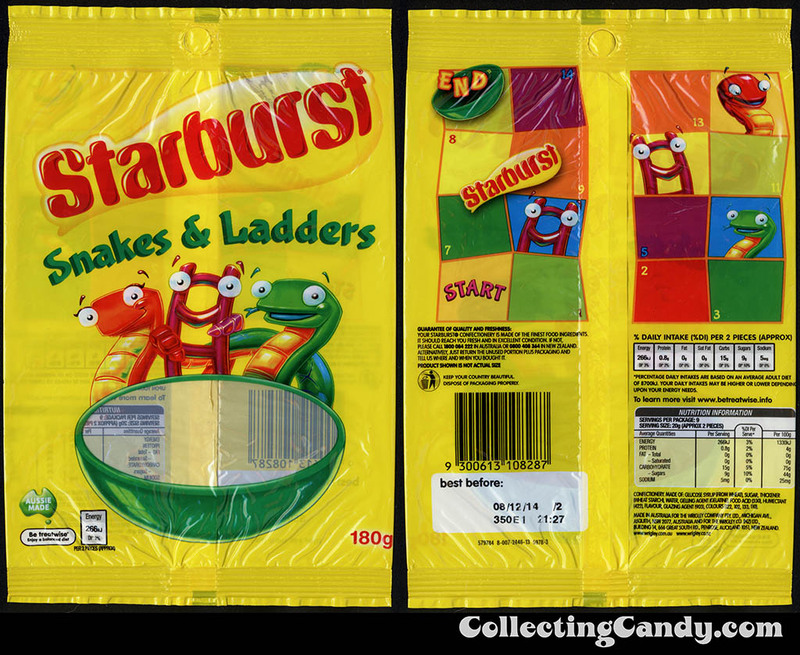 So make the jump to check out Australia’s Starburst Gummies! Before I begin, I’d like to shout out and thank fellow collector and New Zealand native Steve Williams. 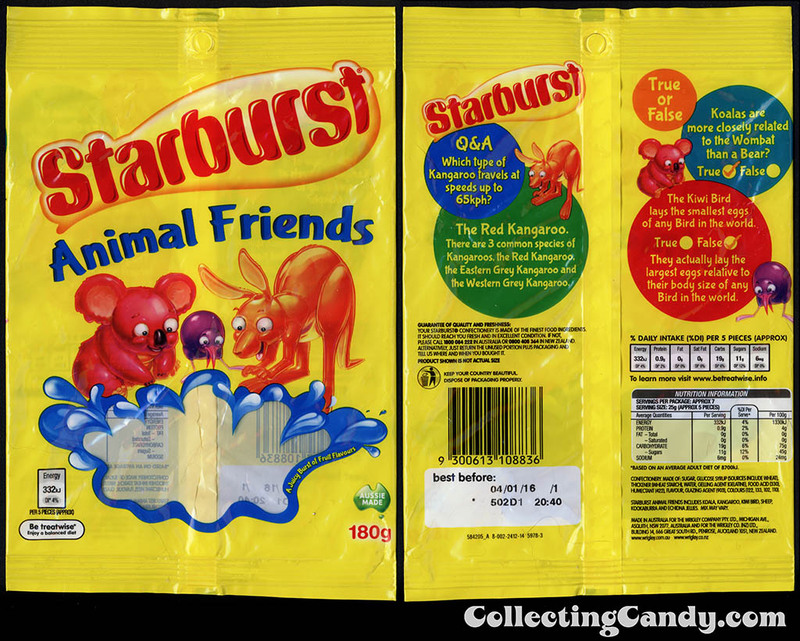 Steve’s been a great friend to CollectingCandy.com and over the years has provided me with so many treats you can only find in the New Zealand and Australian territories. 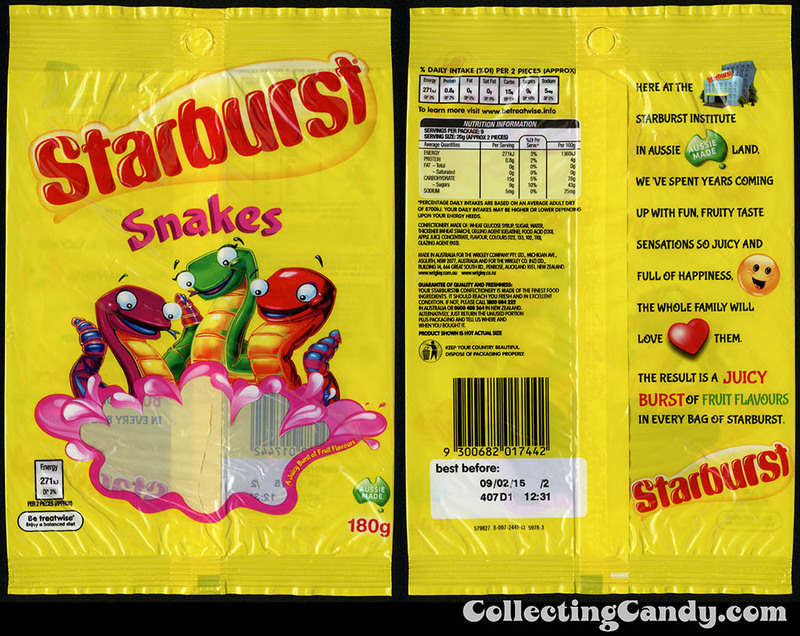 Not long after I added that first Snakes piece to my collection, Starburst Gummies packaging got a bit of a facelift as well as an expansion into other shapes and themes. I’ve managed to pick up most of what’s followed from the line and I’m excited to share them today. 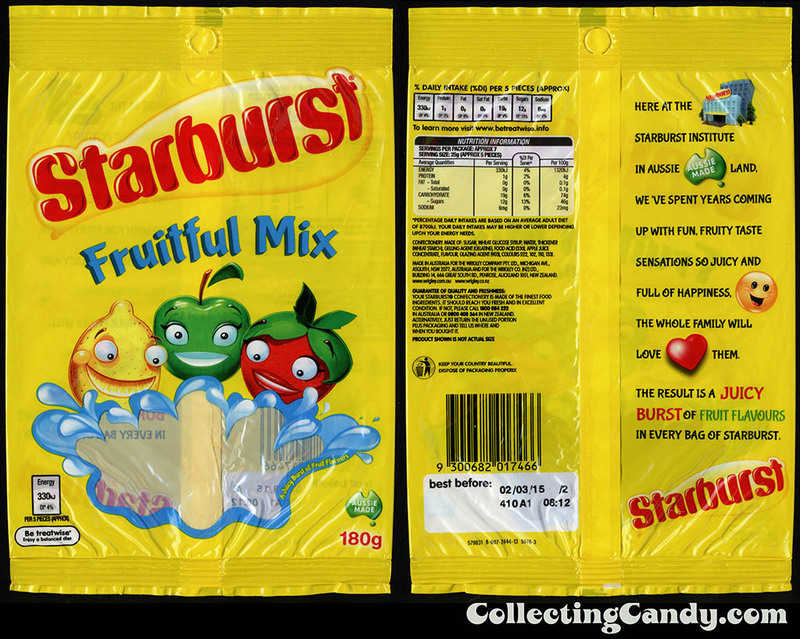 That’s everything I’ve got to share on Australia’s Starburst Gummies (and more!). I hope this is a line that continues to be successful Down Under and that it leads to many more fun shapes and extensions along the way. It’s definitely a fun one to collect and if it continues, with luck I’ll be back to cover it again. 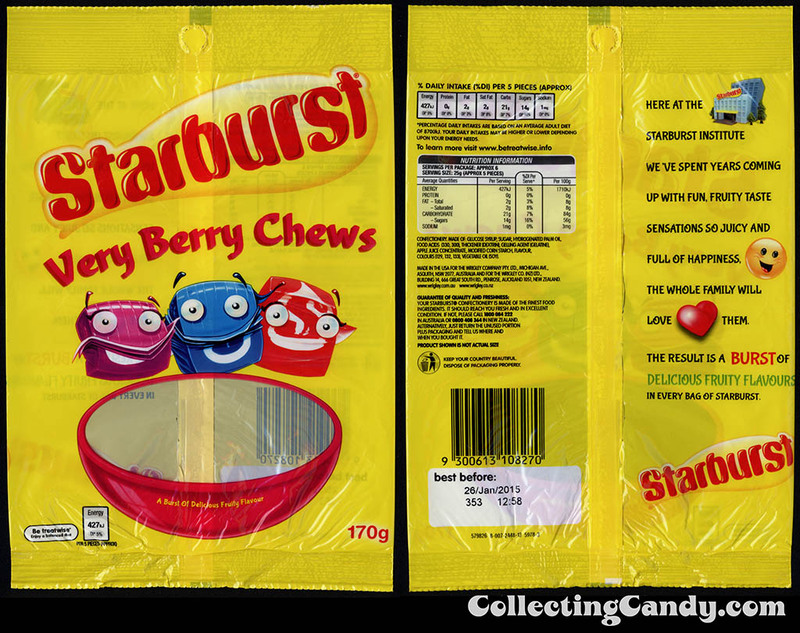 This entry was posted in Gummies, Mars and tagged Australia, candy collecting, candy collection, candy collector, candy wrapper collection, candy wrapper collector, collectible, collecting candy, confectionery, confections, gummi, Gummies, gummy, mascot, New Zealand, packaging, packaging design, Starburst, sweets, vintage candy wrappers, wrapper. Bookmark the permalink. 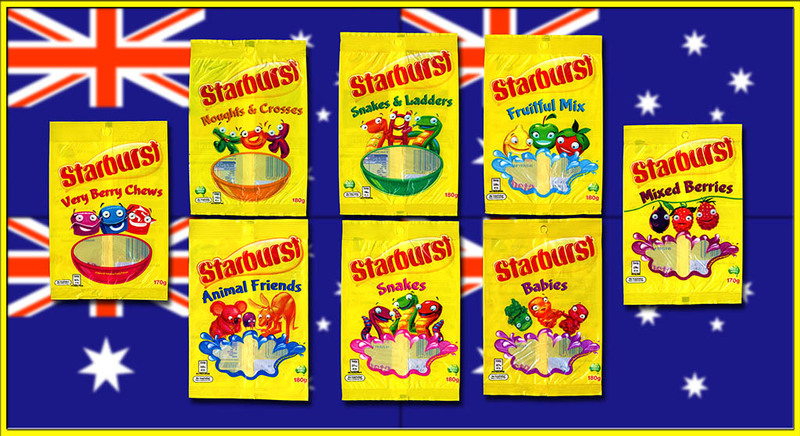 4 Responses to Australia’s Starburst Gummies & More! 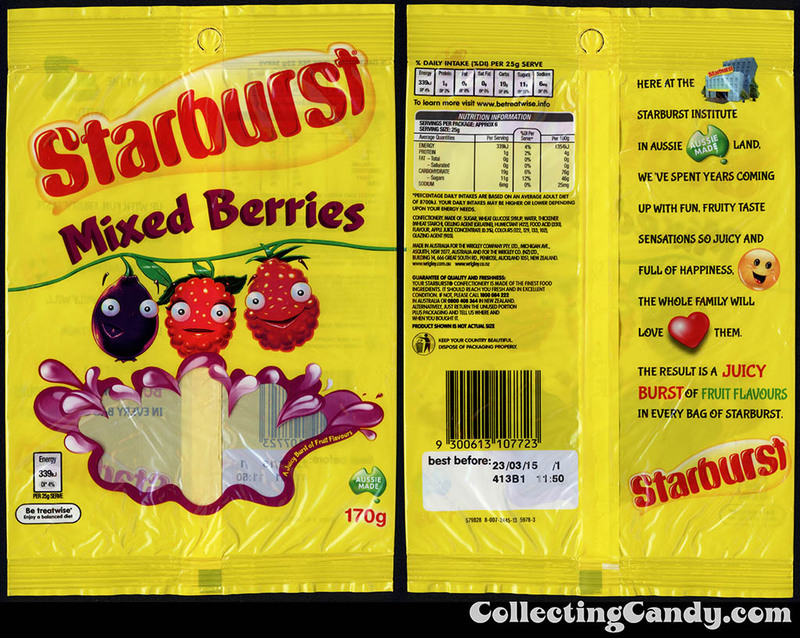 Starburst has gummies here in the USA. 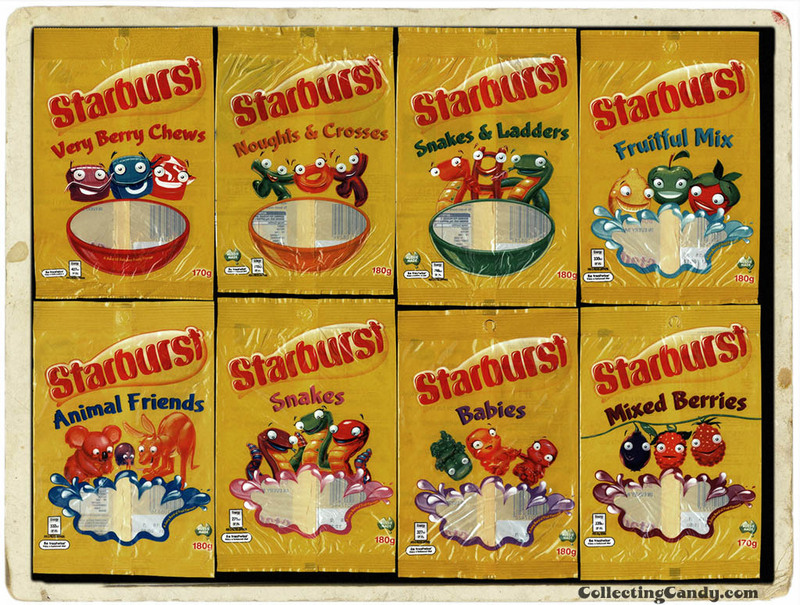 They are similar to fruit gushers fruit snacks. You got me! 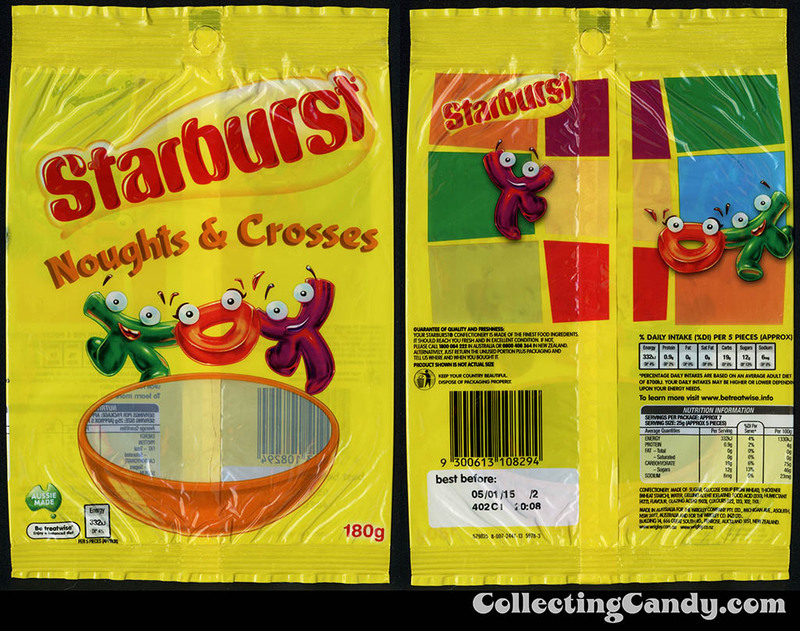 I have a number of examples of Starburst GummiBursts in my archives here, and I completely forgot about them when crafting this post. I think because they market themselves as something more than a simple gummi candy, they didn’t pop into my head, but technically they are a juice-filled member of the gummi family. Thanks for reminding me! Those are fantastic! It’s always fun to find what variations can be found in foreign lands. These are delightfully fun! Great art on these, too. Love ’em!